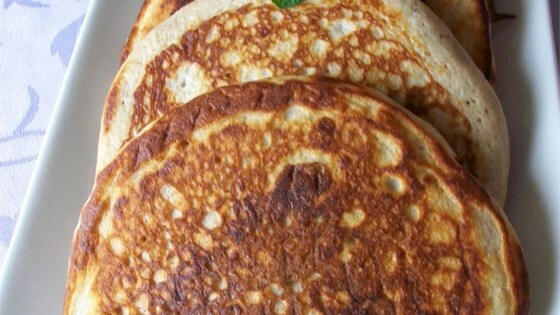 "This pancake is chock-full of healthy goodness with a healthy dose of taste. Serve with butter or margarine and lots of Vermont maple syrup." I love these and frequently make them for breakfast. They're so easy to make and I use only 1 Tbsp oil because that's really all you need and they still won't stick. Excellent recipe! I used brown sugar instead of honey and made up bags for gift baskets at Christmas. Everyone loved these pancakes. Very easy and very tasty.